Ein af skærustu stjörnum hollensku jazzsenunnar, saxofónleikarinn Tineke Postma kemur fram ásamt kvartett sínum á opnunarkvöldi Jazzhátíðar miðvikudaginn 9 ágúst kl 20 í Norðurljósasal. Þó hún sé ung að árum er hún margverðlaun og ber þar hæst virtustu jazzverðlaun Hollands The Buma Boy Edgar Award sem hún hlaut 2015. Hún hlaut hollensku tónlistarverðlaunin fyrir hljóðritun sína Dawn of Light sem skartaði bassakonunni Esperanza Spalding og lék einnig á tveimur Grammy verðlaunuðum hljóðritunum: Mosaic Project (2012) með Terri Lyne Carrington og Beautiful Life (2015) með Dianne Reeves. Koma Tineke Postma er studd af sendiráði Hollands í Osló. 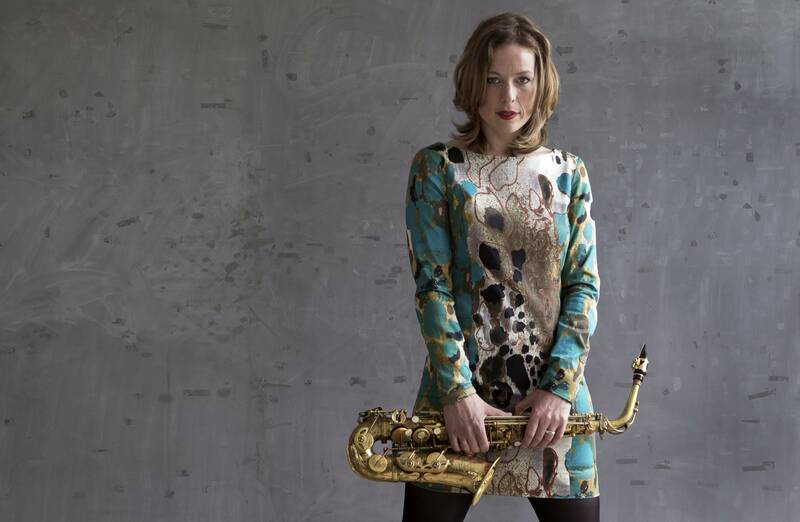 One of The Netherland’s shooting stars, saxophonist Tineke Postma, performs on the opening evening of the Reykjavik Jazz Festival, Wednesday August 9th at 8pm in Norðurljósasal. Ms Postma has won several awards including Netherland’s most prestigious award the Buma Boy Edgar Award which she received in 2015. She has also won the Netherland’s music awards for her recording Dawn of Light which featured bassist Esperanza Spalding and was a part of two Grammy Awarded projects: Mosaic Project (2012) with Terri Lyne Carrington and Beautiful Life (2015) with Dianne Reeves. This concert is made possible by generous support from the Dutch Embassy in Oslo.